During those 10 months that I was in Hyderabad, Kolkata House was a weekend regular. 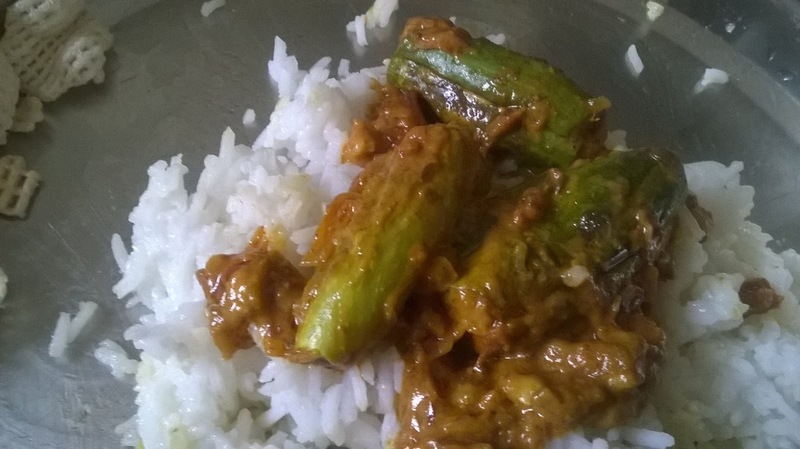 The cheap eatery from Kondapur prepared awesome dishes without hurting our pockets. And Potol Dorma always featured on our take away. This is one dish where you really need to get your hands dirty. And it is worth it! Well the stuffing is everything and you can make the stuffing both veg and non-veg. For non-veg you can use fish and chicken. In this recipe I have kept it pretty simple and have used just the seeds of parwal and grated coconut. Grated coconut delivers a flavor that makes this dish stand out. Now let us check the recipe. Potol (parwal) : 4 nos. Wash the parwals and cut off the edges. Cut along the edges and take out the seeds using a spoon. Be careful so that it does not break. Keep the seeds aside, we would use them for the stuffing. Take 2 tbsp in a kadhai and once the oil is hot put in the cut parwals and let it fry. Take the parwals out and keep aside allowing them to cool. Now put in 1 tbsp in the kadhai. Once the oil is hot put in the sliced onions and let it fry till the onions are brown. Put in the chopped green chillies and saute. Put in the seeds of parwals and fry it. Take care to not burn them. Saute the ginger garlic paste in it until the raw flavor is gone. Put in the tomato puree and the spices mentioned under stuffing. Put 1 tsp of sugar in it. Saute till oil separates out. Then put in the grated coconut and let it cook for around 2-3 minutes. Once the stuffing has cooled down, take the parwals and put the stuffing in it. You may tie the parwals after this, I preferred to let them be as is. Now pour in some water in the stuffing that is in the kadhai and bring it to a boil. Put the stuffed parwals in it and let it simmer for around 5 minutes. Put garam masala and put off the heat. 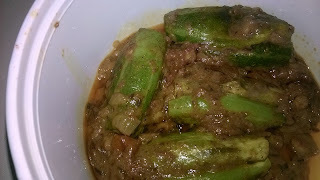 Serve hot along with phulka or rice. Is there a better way to make this dish? Do share your comments below.